Most times when I travel a long distance by car or plane, I find myself dreading the drive and seeing it as a necessary means to get to a desired end. And so I end up a little more tense… a lot more bored… and probably somewhat more of a drag to be around. It’s like I forget that the journey can be a fun part of the trip. On one trip as a family, we decided to make the driving part of the trip a fun part of the whole experience. We determined that we would spend the night twice to break up the trip. We found fun siteseeing activities to do. We even made up our minds to find the best ice cream places all along the way there and home. And you know what? I enjoyed that trip a lot more. There was less stress. It was more fun. And it actually seemed to pass more quickly than I thought. And do you know why? Because I was enjoying it rather than enduring it. Do you ever catch yourself putting up with life instead of pleasantly pursuing it? It’s easy to get caught in the trap of having what has come to be known as “destination disease.” That’s where we think things will be better when we “arrive” at some point in life… when we accomplish that dream… when we reach that goal. But there can be joy in the journey if we choose to see it & grab hold of it. And that can happen when we recognize that our good God made this day. Since He made it and has good things in store for us… since He created it & has everything completely under control… then we can choose to rejoice & be glad in it. Let me challenge you today… enjoy every moment with your spouse, your kids, your parent. Soak in all the great things about your job. Rejoice in the blessings you have today. 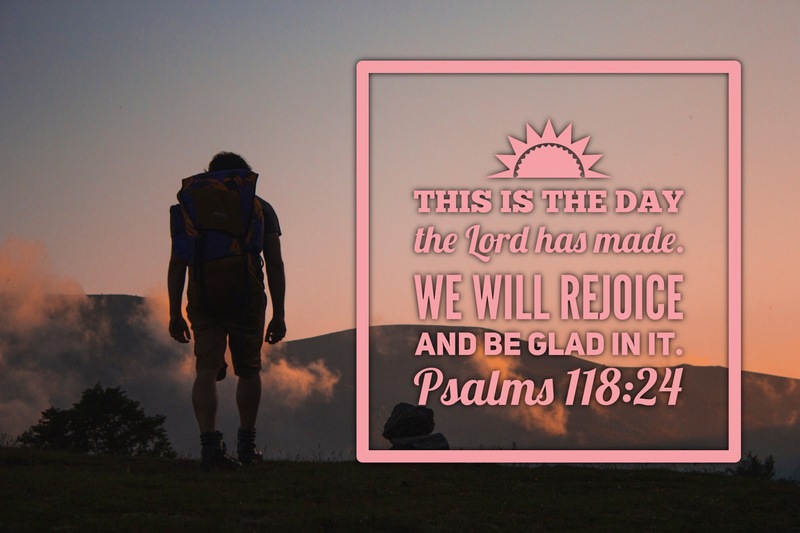 And the good news is… God made tomorrow also & so can already know today that you can rejoice then as well!